It is supposed that this building used to accommodate the ancient school “A scola” in the South of Corsica. Today this house offers a unique view over the massif of Cagna, and it is perfect for a stay with friends, in couple or even for two families. 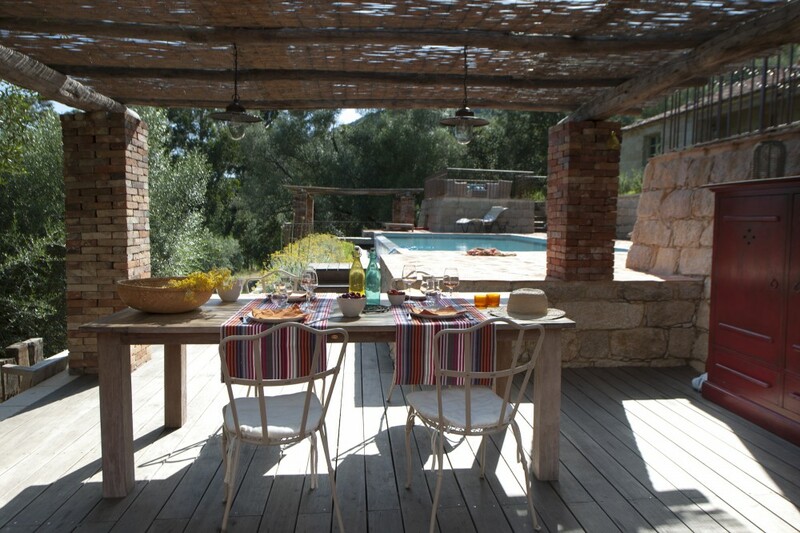 The pool built with terracotta and the summer lounge with rattan furniture invites you to relax. This ancient house is available all year. It is possible to participate in different activities like mountain biking, foot trekking or jogging, and you have also the opportunity to do escapades, on your own or with a mountain guide, to discover the beautiful paths starting nearby the house. Horse riding, scuba diving, water sports: Fun Board, Kite. Boat trips to discover the coasts natural reserve. Helicopter getaways to admire the vineyards and the massif of Cagna, one of the most beautiful coasts of the Corsican seaside. Recommended for families with children older than 8 yeas and groups of friends! 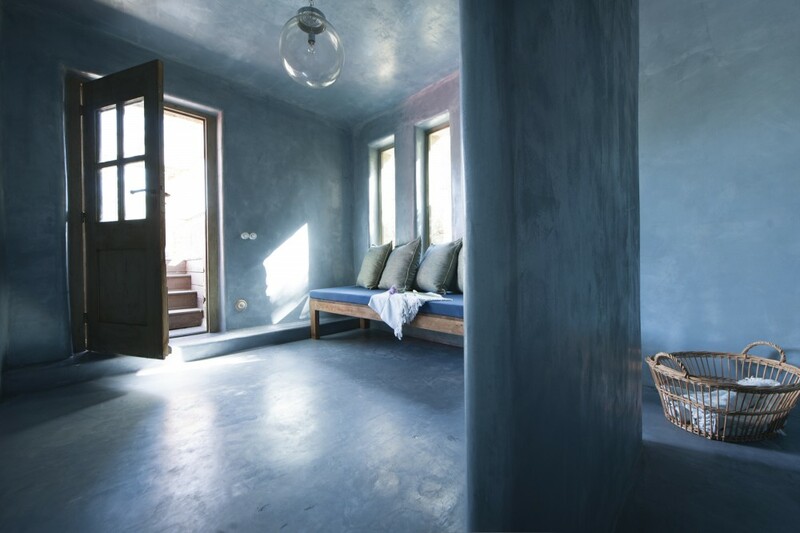 This 180 m2 house with hammam, accommodates 4 people in winter and 8 people in the summer. Dining room, equipped kitchen: fridge-freezer, oven, dish-washer, microwaves and other small appliances. Utility room with washing machine and drier, independent toilets. Satellite TV, Internet. Baby equipment.